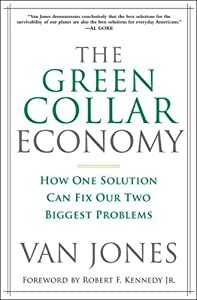 Van Jones, globally recognized, award-winning pioneer in human rights and the clean-energy economy, co-founder of three successful non-profit organizations: the Ella Baker Center for Human Rights, Color of Change and Green For All, best-selling author of the definitive book on green jobs: The Green-Collar Economy, and true hero. “http://www.ted.com Van Jones lays out a case against plastic pollution from the perspective of social justice. Because plastic trash, he shows us, hits poor people and poor countries “first and worst,” with consequences we all share no matter where we live and what we earn. At TEDxGPGP, he offers a few powerful ideas to help us reclaim our throwaway planet.